Located in the heart of Yaletown, Max Dental offers you comprehensive dental care and convenient hours. Missing a tooth? We offer dentures or dental implants. Unhappy with your smile? We offer you veneers, white fillings, take home whitening, Zoom® whitening and more! Nervous about your visit to the dentist? Conscious Oral Sedation can make your dental appointment nothing but a sweet dream. Additional services include tooth extractions, essential dental hygiene cleanings and digital xrays. Max Dental is your Yaletown comprehensive care dentist. We’re proud to be part of the 123Dentist.com Community Dentist Network and we offer you convenient hours and patient-focused dental care. 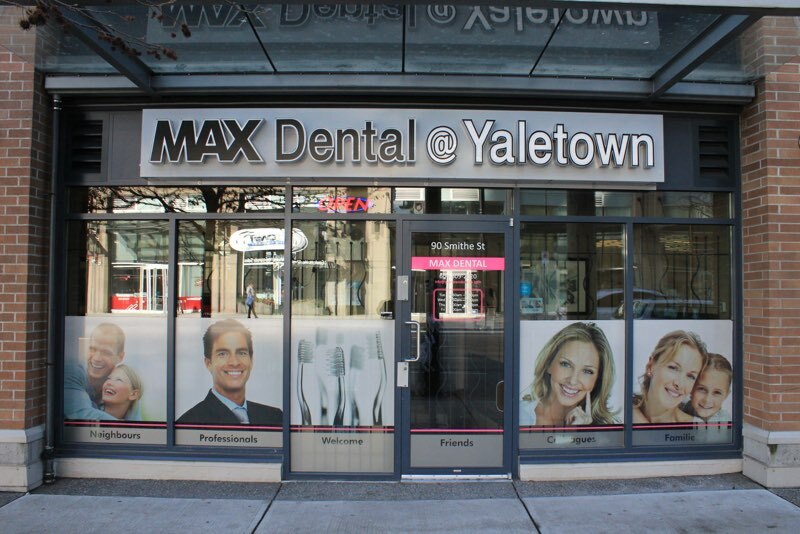 Max Dental is conveniently located in Vancouver’s Yaletown neighbourhood at the centre of several skytrain stations. Visit us today to discover modern dentistry in the heart of Yaletown and experience life with a whole new smile.